Hello, Plaid Hat fans! 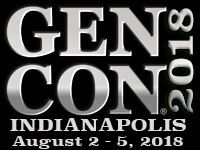 Are you excited for another GenCon filled with awesome releases and great games? We’ve got a variety of products to show off this year, including new expansions and releases, preview sales, and tons of demos! Let’s take a closer look at what’s going to be on display at Plaid Hat Games! 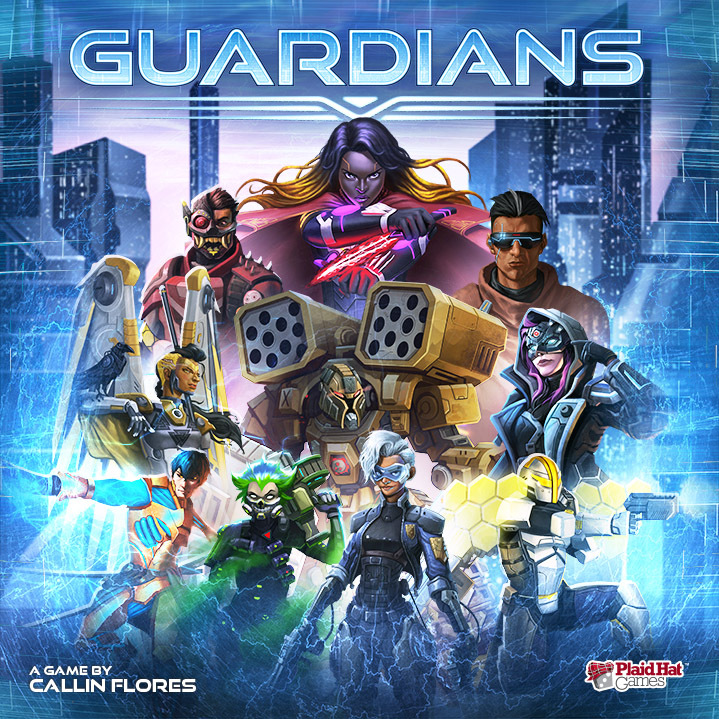 Assemble the ultimate team in Guardians, a game of super-powered battles for 2 or 4 players! 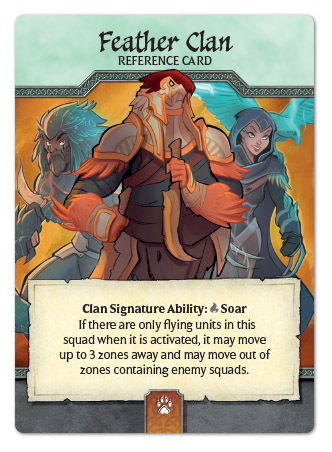 In Guardians, players will choose three unique heroes to form a deck, and battle with their opponent over key location cards. Each hero has their own abilities, strengths and weaknesses, and players will need to find the best strategy to lead their team to victory. Guardians will be available for demo throughout the convention, but we also plan to have a limited supply air-shipped in for a previews sale! We’ll be sure to let fans know the moment copies arrive. Grab one while supplies last! Enter the mind of Dr. Martin Strobal as you attempt to save him, and the world, in Comanauts! From designer Jerry Hawthorne (Stuffed Fables, Mice & Mystics) comes the second entry in the Adventure Book system! Take on the role of an Avatar, one of the many characters in Martin’s mind, as you explore 11 unique Comazones to locate Martin’s inner child and defeat the Prime ID holding him hostage. 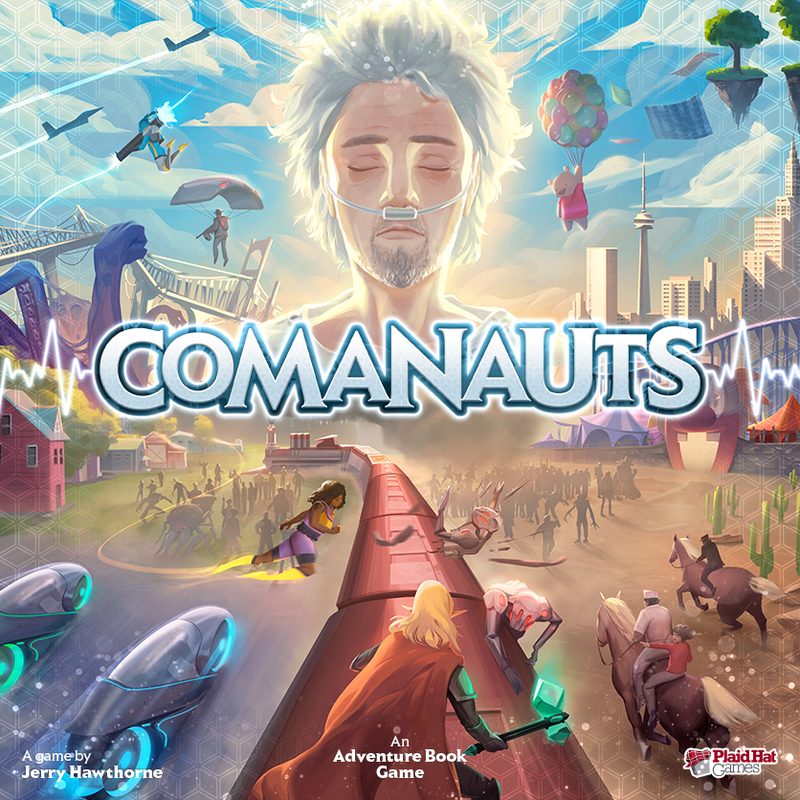 Using some of the same mechanics from Stuffed Fables, Comanauts offers a more challenging experience for players as they race to save Martin. Comanauts will be available to demo throughout the convention. The battle for the Lotus Galaxy continues to spread! 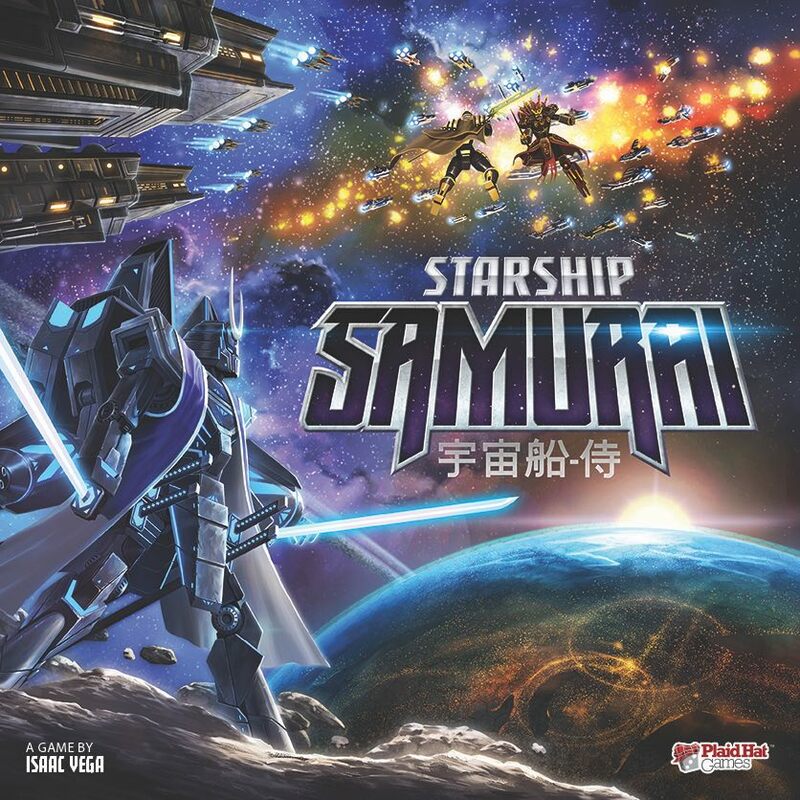 Starship Samurai is the latest release from acclaimed designer Isaac Vega (Ashes, Dead of Winter) in which players control massive Samurai Mechs and a fleet of powerful starships to secure their claim to the imperial throne. We’ll have plenty of copies available for purchase as well as demos for players to see these powerful mechs up close! Raxxon and A.R.K. 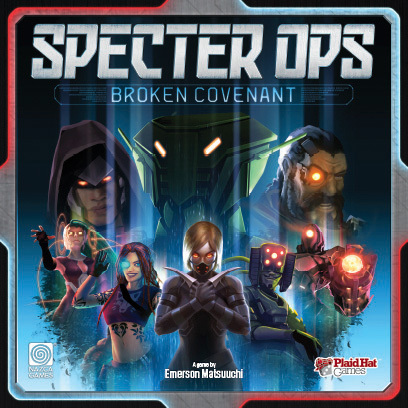 continue to fight for control of the dystopian future in Specter Ops: Broken Covenant! This stand-alone expansion to the original Specter Ops: Shadow of Babel adds a multitude of new agents, hunters and equipment, not to mention a new vehicle and the all-new supply cache variant. Be sure to sneak over and grab a copy for yourself! The Demons of Darmas and The Spirits of Memoria will both be on sale at our booth this year, as well as copies of all previous Ashes expansions! 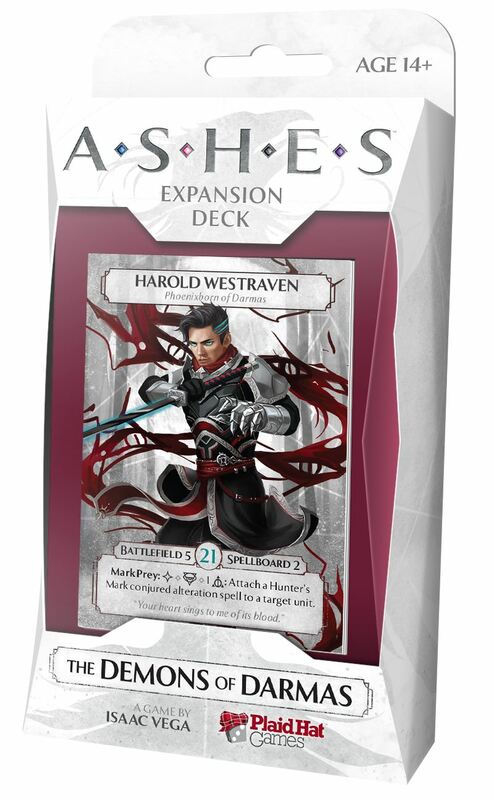 Harold and Sembali join the War of Ashes with two ready-to-play decks that offer even more options to Ashes fans. 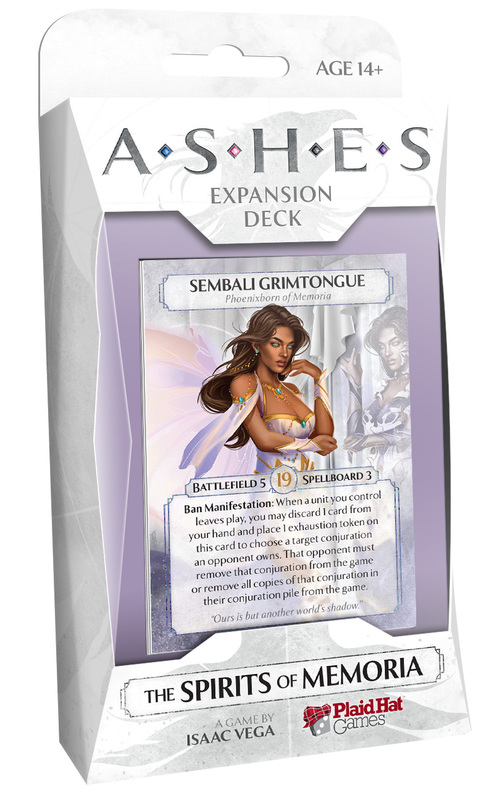 Remember, both decks will also be tournament-legal for our Ashes tournaments at GenCon. Be sure to stop by and pick up more Phoenixborn to add to your collection! Four new clans are entering the battlefield! 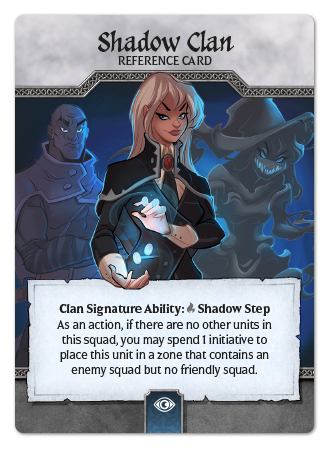 Feather, Leaf, Shadow and Fang Clan will all be available for purchase at GenCon, as well as the master set of Crystal Clans. Each ready-to-play Clan employs a brand new strategy for controlling the battlefield, so be sure to add these new forces to your collection. 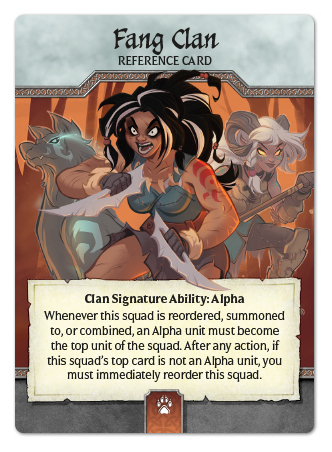 Fully illustrated by Martin Abel, these new Clans contain a multitude of new units and abilities. 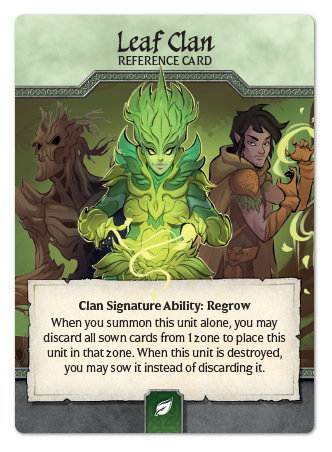 As with Ashes, all four of these new Clans will be tournament-legal for our Crystal Clans tournament at GenCon. We still have spots available for this event, so be sure to grab the new Clans and a ticket while you’re at it! 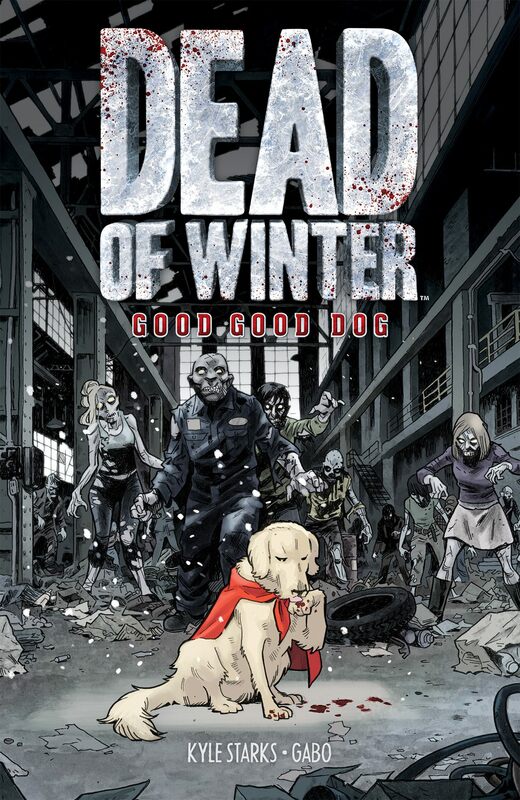 The Dead of WInter Comic Book, starring Sparky the Wonder Dog and published by Oni Press, has released its first trade paperback, Good Good Dog! Collecting issues #1-4, Good Good Dog chronicles the adventures of Sparky the Wonder Dog as he explores the zombie wasteland and joins some friends along the way. Written by Kyle Stark and illustrated by Gabo, this collection also includes the exclusive Ruckus promo for dead of winter, so come grab a copy and follow along with Sparky’s adventure! That’s right, we have one more surprise for GenCon we can’t even talk about yet. Let’s just say there will be another table where we’ll be running demos of a tasty new treat we’re pretty sure you’re going to love. Is it the Stuffed Fables/Golden Girls crossover you’ve been begging for? Is it grilled walrus steaks with extra butter? We just can’t say! That’s all for now! We’ll be at Booth #1537 for the convention, and we love hearing from and interacting with fans! 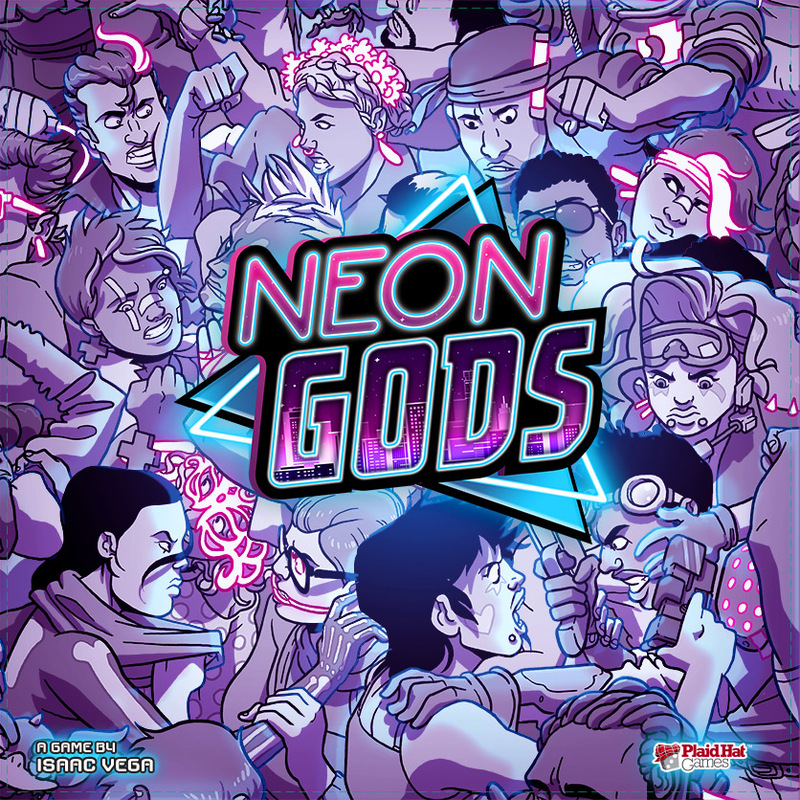 Stop by the booth and check out our newest releases and upcoming games, and have a great con!